Porto Santo Island has always been my idea of paradise. Picture a 9 km long golden sand, deserted beaches, crystal clear blue waters in a volcanic island with around 5400 locals, where? In Europe, right in the middle of the Atlantic Ocean, as part of Madeira Island Archipelago, Portugal. It is situated at a distance of 50 Km northeast from Madeira Island. Porto Santo measures 11 Km length and 6 km in width. The highest peak is ‘Pico do Facho’ with 517 mt. The moderate climate is felt all year round with average air temperature of 23ºC (summer) to 19ºC (winter) and a sea temperature from 22ºC (summer) to 17ºC (winter). However, when you mention Portugal as a destination to travellers, you tend to find most tourists heading to Algarve or to Lisbon, considered to be the 2nd best destination in Europe. However for the curious traveller who is willing to run away from the crowds to experience something exclusive, still undiscovered to the majority of the world, you will discover an Island rich in tranquillity, paradisiac landscapes, rich gastronomy and amazing beaches. I feel blessed for being born in Madeira Island, 2 and a half hours away from Porto Santo Island. This is one of my favourite destinations. I’ve made my best memories of childhood in Porto Santo and there’s always a certain peace and happiness in my heart, whenever I reach it. In my last trip to the Island, I was surprised by a rich range of experiences and sights. I’ve summed up my stay in the following 40 photographs. 40 images that will hopefully make you visit this beautiful island of the world. 1. Porto Santo Beach has a wonderful beach which offers you soft golden sand, a clear blue sea and the peace you need to relax. 2. The old town, Vila Baleira is a charming little town with pedestrian streets and white washed houses. 3. Sunrise at Lobo Marinho ferry boat is one of the highlights of this trip. The sea breeze and the panoramic views are simply unforgettable. Lobo Marinho is the ferry used for transportation of passengers and vehicles between Madeira and Porto Santo. The crossing takes about 2 hrs 30 min. The ship can carry up to 1,153 passengers. It offers comfort, safety and a regular service with departure from Funchal by sunrise and return from Porto Santo by sunset. It has a stabilizers, a 1st class lounge and side ramps to allow transportation of vehicles. Price for return ticket starts at 46,95 euros per adult, children from 5-11 years pay half price. There are also several packages available check here. 4. The journey to Porto Santo begins with amazing sea coast views of Madeira and Desert Islands. Sometimes, you can even spot dolphins on your way. Lobo Marinho ferry boat has in and outside rest areas, restaurants and cafés which serve drinks, snacks and meals. It also features a cinema, a playground with games and DVDs for children, shops of clothing and a variety of gifts. It has FREE wifi on board, just ask for the password at the reception. There’s no shortage of what to do on board, but for me, the highlight is to sit outside, admire the landscape and take some photos. 5. One of the best ways to get to know this island is to hop on a tukxi tour. It was amazing to see Porto Santo with the guidance of an expert. Nídia, my guide was very friendly and professional. Learned so many interesting facts about the history, the culture and visited the most beautiful spots. This was one of the first stops: Calheta Beach. On a clear day, you can see Madeira on the horizon from here. We took the Giro Isola tour, it lasts 2h 30 m and covers the landmarks of this Island including: Vila Baleira / Miradouro da Portela / Serra de Fora / Pico Branco / Pico Juliana / Camacha / Pico Castelo / Praia da Calheta. The price per tukxi (2 adults or 1 adult and 2 children) is 80 euros. Definitely worth it! Book here. 6. This is Portela viewpoint, stunning no? 7. I’ve fallen in love with these beautiful windmills, a typical sight in Porto Santo. Since the island’s relief is quite low and exposed to wind from all directions, these windmills were built to grind the grain to make bread. 8. Another cool feature of Tukxi tour is the chance to visit Porto dos Frades beach, Cotrim Beach. This is a beautiful cozy cove with turquoise water and a small beach surrounded by cliffs. There are no support facilities. If you’re visiting Porto Santo, dedicate some time exploring the North Coast, where the wind and storms of the Atlantic have shaped the sandy slopes. The name of this area means ‘source of sand’. On an island with strictly controlled supply of water, natural sources are extremely valuable and this source had the purest water in the island, considered sacred by the local people. 10. Sights of magical islets where you can imagine shapes of rocks, like this one, Fonte da Areia Islet, looks like a ‘Gorilla head’, no? 11. Porto das Salemas is another hidden gem I loved to visit. You could spend hours enjoying this sea, rich in blue-greenish colours. 12. Greetings from Porto Santo. I love the views of this part of the beach, under the pier. 13. One of the oldest houses ever built in Porto Santo. The location is Cabeço do Guilherme. 15. This is the Mannerist Chapel of the Holy Spirit, which dates back to the 17th century and features Flemish paintings. This green area in the city has beautiful dragon trees, palm trees and bougainvilleas among other flowers. It’s a meeting point for families offering two great playgrounds to have some fun and take a walk to the pier nearby. 18. When in Vila Baleira, sample a taste of the delicious ice-creams ‘lambecas’, double taste! 19. Also do not miss tasting the typical biscuits, liqueur and wine from Porto Santo. 20. Porto Santo was once home to Christopher Columbus, after his marriage to Filipa Moniz, daughter of the first Captain of Porto Santo, Bartolomeu Perestrelo. You can visit his home which is now a museum. The northern facade of this building features two Gothic windows and this is the only element which dates from the original house. This museum presents a short biography of his life and his family connections to Porto Santo, as well as some references to his voyages to America. 21. My home during my visit to Porto Santo was Casa do Velho Dragoeiro. Breakfast is served in the restaurant’s terrace, overlooking the sea. With a great home atmosphere, it has the oldest dragon tree in the Island by the pool. The rooms are comfortable and staff is very welcoming. It has greatest ratings in Booking.com. Well deserved. Check prices here. 22. Another dreamy shot of Pico Castelo. On this peak a small fort was built during the 16th century to provide defence against the frequent invasions of French and Algerian pirates. The Porto Santo Harbour has all the conditions to receive both small and large vessels. It is at this port that the Lobo Marinho ferryboat makes its daily connection between the islands of Porto Santo and Madeira, welcoming visitors from all over the world. Recreational boats can also dock at the Marina. Prismatic columns are the distinctive feature of this stone massif, with irregular shapes that have been given names such as the ‘The Piano’. Porto Santo’s golf course will surprise you with superb views with great golfing conditions. Designed by the Spanish champion Severiano Ballesteros, it offers two 72-par nine-hole circuits plus another 9 par-3 Pitch and Put holes. It leaves no one indifferent as you pass by. 26. Another reason to come to Porto Santo is to discover the region’s Columbus festival which recalls the time when Columbus lived in Porto Santo Island. It takes place in September and includes the disembarking of Columbus plus a sixteenth-century market with food, crafts and street performances with theatrical representations of those times. 27. Can’t think of a better way to spend a Sunday Afternoon. This is the main church in the village, Our Lady Mercy. Built from 1430-1446, it has a beautiful ceiling in polychrome rococo style. I had the chance to visit Porto Santo during this religious festival which includes traditional music, live bands and general food and drink, including these cute candy necklaces. 29. This is the Pier where boats used to arrive in Porto Santo before the construction of the Port. 30. Along the way through the Island you might spot these old lyme ovens celebrating heritage. Since Porto Santo is located in the northern hemisphere, this territory is almost completely covered with calcareous matter, secured on limestone, which is visible in several places. These Old Lyme ovens were one of the main source of income for this island. 31. I missed out on experiencing the healing programs of the Thalassotherapy Center, based on the scientifically proven therapeutic benefits of Porto Santo’s sea and sand, the so called ‘sand baths’. They are rich in iodine, calcium and magnesium and can restore the lack of mineral salts in the body in treatments for the prevention and relief of rheumatism, arthritis, bone and muscle problems, stress, breakdowns, fatigue, circulatory problems, digestive disorders, post-natal recovery, etc. Next time, I’ll make sure I’ll book it! 32. Last but not least, go for long walks and enjoy this view. 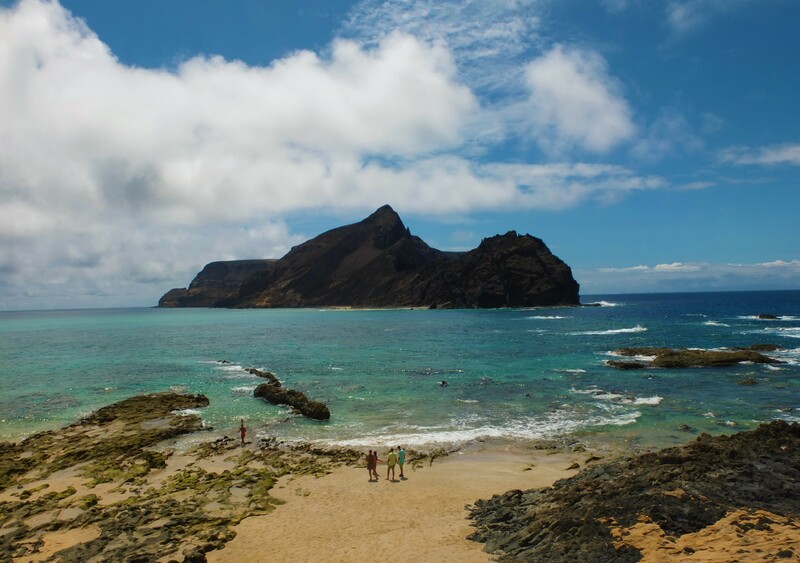 Hope you like the photos and they will inspire you to visit Porto Santo. Any questions, leave a comment below. My ferry boat trip on Lobo Marinho was courtesy of Porto Santo Line and my Tukxi tour was courtesy of Tukxi Madeira, but the views expressed are my own. adorei as fotos publicadas da minha terra natal. 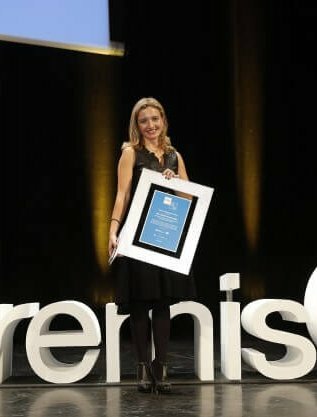 Tenho boas recordações da minha infância que nasci e cresci até aos 19 anos. Excelente. Que bom saber que gostou! Muito Obrigada Elia! ea Quita das Palmeiras não existe???? ?e o Museu do Sr Cardina??????? I am absolutely breathless viewing the beauty of these sights. I was there in the summer of 2014 with my family. This was their first time and I was so proud to show them my birth place. My name is Candida De Vasconcelos. My married name is Candida Woodruff. My great grandfather and grandfather were from Porto Santo. Their name was DeVasconcelos. My great grandmother’s family name was Reinold or Reinolds. Maybe we can be related. Love the write up and the beautiful photos. Thank you so so much for sharing. Agradeço a sua visita a uma Ilha que ainda está por descobrir por muitos,.Espero volte há minha minha Ilha novamente beijinho grande e obrigada pelo carinho,como a tratou no seu blog.felizarda. Thank you! We are coming to Madeira and May and you have encouraged us to include some nights on Porto Santo. Hi Sofia – thank you very much for this inspiring article and the wonderful pictures. We are currently on holiday here from England. I would love to buy a house here so we can visit a lot and stay here. Do you have any information about buying property here? Thank you for the awesome photos. Next PostSay YES to Athens! This blog talks about my passion for the Island where I was born and live (Madeira) and the travels that make me enjoy life, in an endless journey to discover the world until (one day, who knows) I get to visit Mars. Award for the Best Tourism Communication on the digital media category 2016 #PREMISG! Barcelona com Crianças , 5 locais a visitar. This site contains affiliate links. If you make a purchase through these links, I might earn a commission at no extra cost to you. Thank you for reading my suggestions. Are you planning your next holiday and need my tips? Are you looking for the best tours or places to stay in Madeira? Do you need my services as a copywriter? Do you have a business and want to promote it in this blog or my social media channels?